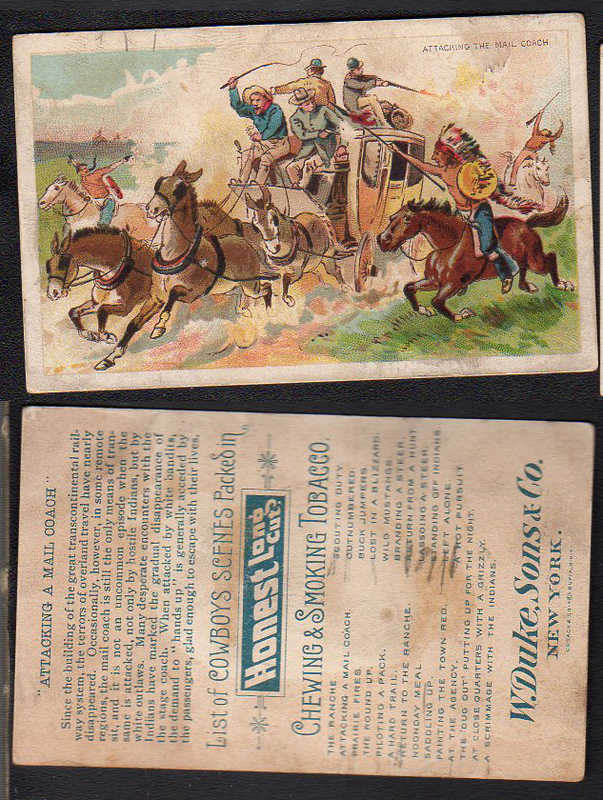 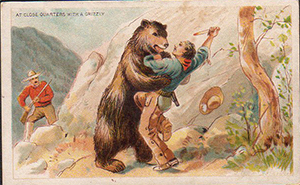 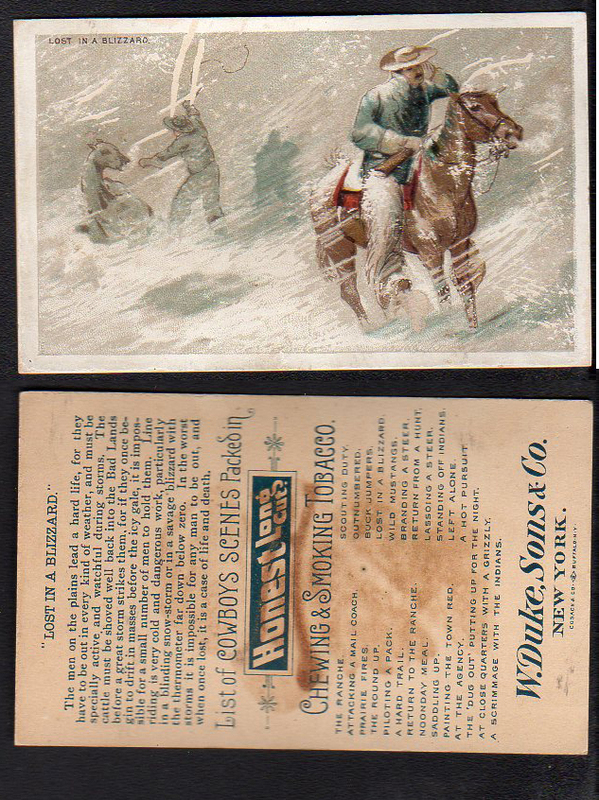 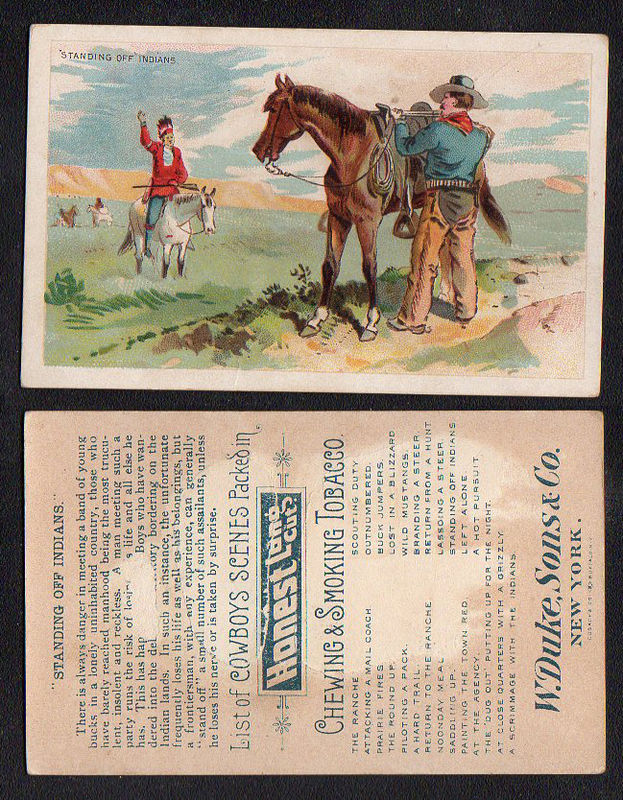 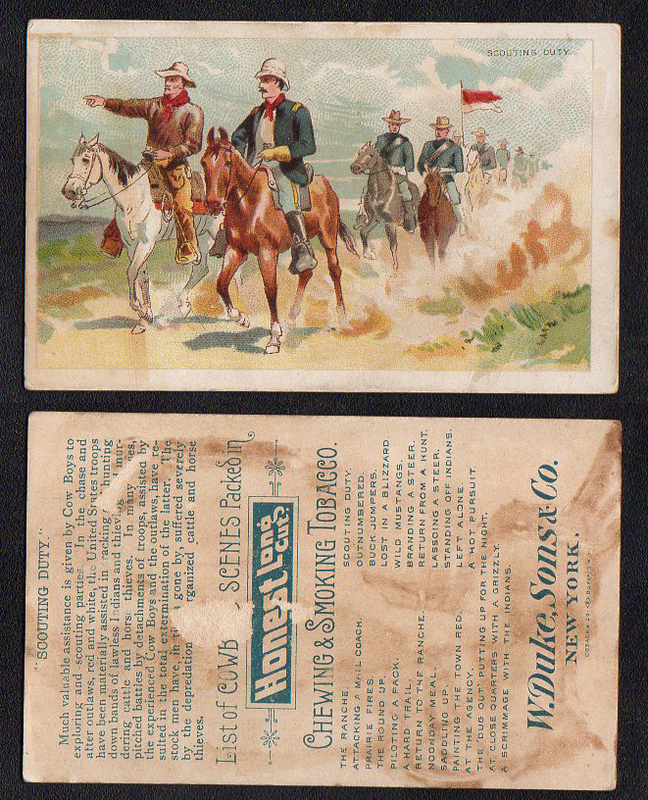 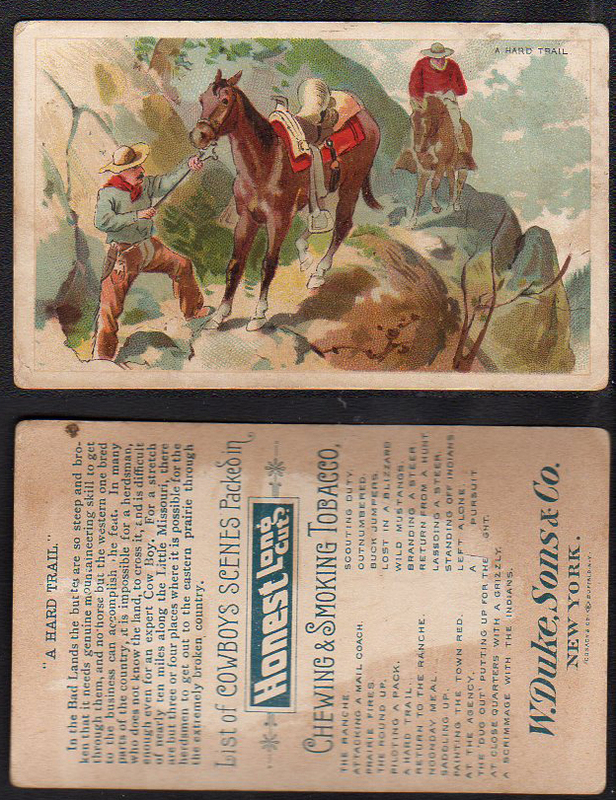 Duke released this popular series of 25 large cards (2-1/2" x 4") in 1888. 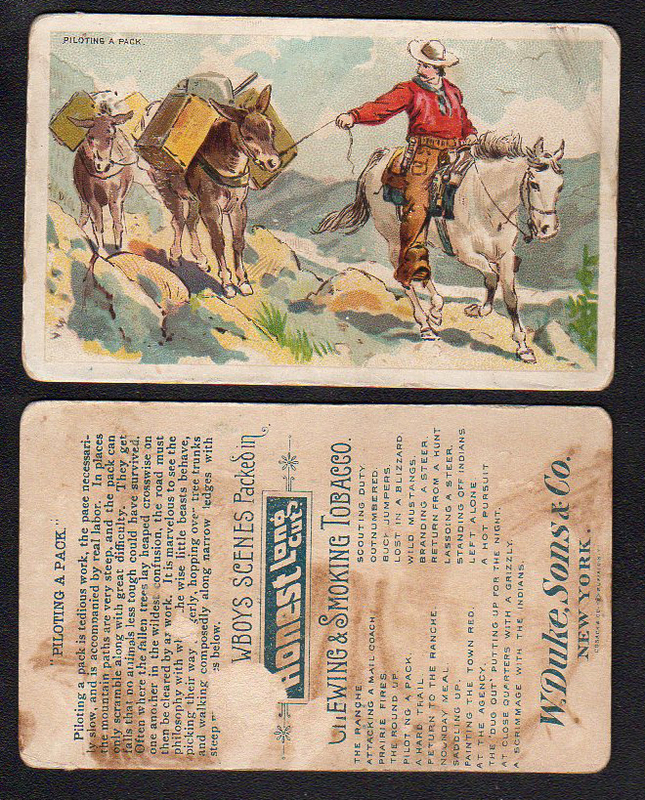 These were very popular mostly because anything relating to the old west was very desirable. 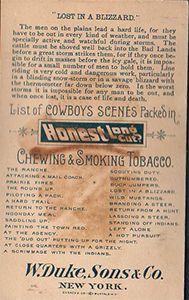 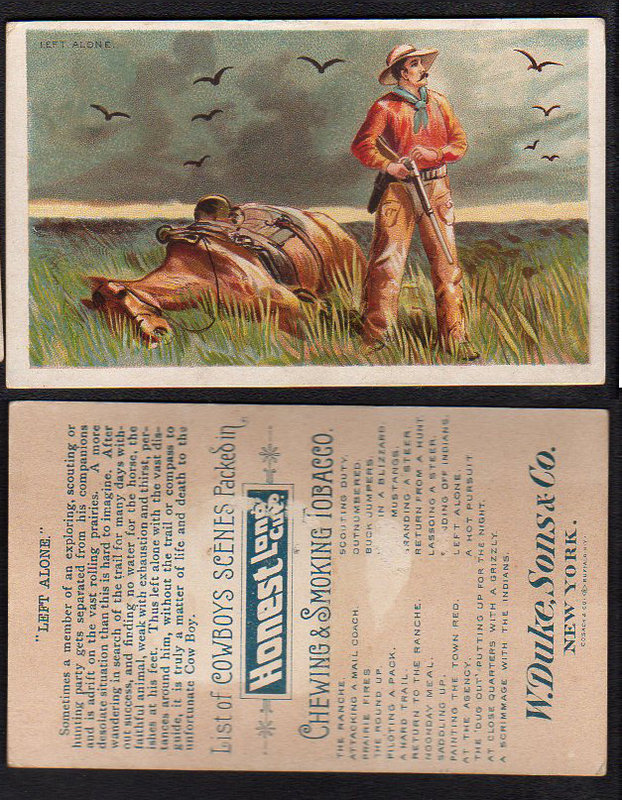 Designed by Cosack & Co, they featrued western scenes and life as a cowboy.